Jute carrier bags are manufactured from a natural jute material. The colour of the jute can be dyed prior to manufacture of the bag, as shown here for the side gussets of the carrier bag. The bag is shown flat packed. Printing onto the just carrier bags is not as accurate as a paper, as the material surface is not as smooth. To compensate, it is better to print larger texts or objects (if a photo quality finish is required onto a natural bag, we suggest a transfer print onto cotton carrier bags). The just carrier bags can be supplied with a variety of bespoke extras as they are produced mainly by hand. The handles can be manufactured to size from bamboo or other locally sourced materials, if not a standard jute handle. Windows and netting can be added, or pockets, or even decorative items. Generally these bags are produced in Asian countries (mainly India) and imported to the UK. We offer a design service for various types of printed jute carrier bags. 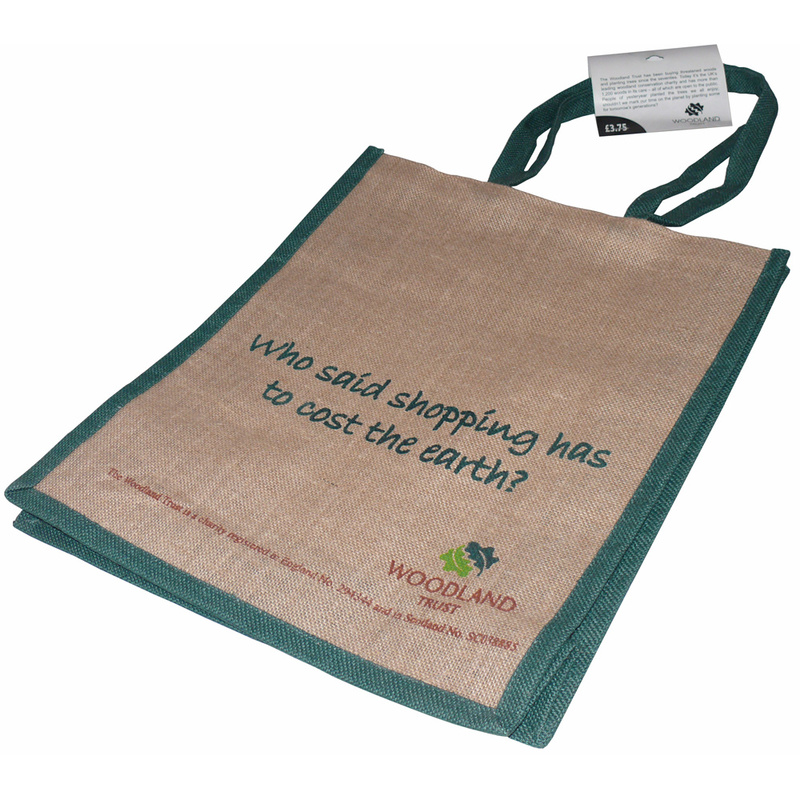 The Companys office team have helped many stores buy bespoke printed jute carrier bags. For choose by material or other , get in touch with our team using the above details.